Where to go Fly Fishing near Akumal? Akumal is a beautiful city situated along the Mexican Caribbean coast. With a pleasant climate and incredible nature, Akumal is a real magnet for tourists and adventure seekers. People can enjoy a wide range of activities there – from swimming and sunbathing to snorkeling and fly fishing near playa del carmen with a guide. If you are staying in Akumal or you are just passing through this area, you should know that this is a paradise for anglers. Fly fishing is an activity that you can practice along the Caribbean coast in Mexico. Of course, not every location in this area blesses with fish, and that’s why you must do some research before you get involved in this activity. 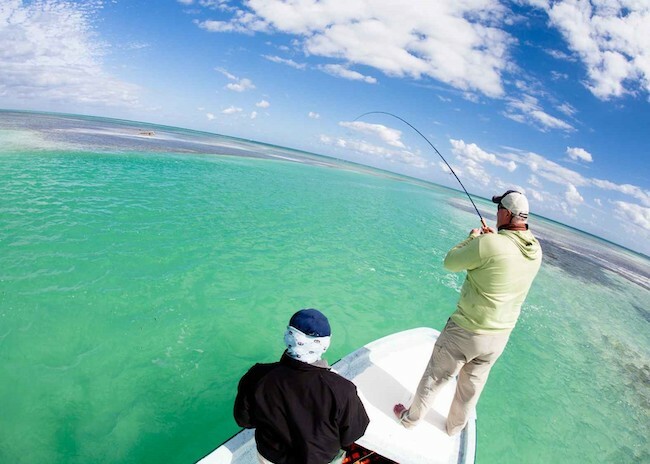 What are the best Akumal Fly Fishing locations or nearby? Without any doubt, the best fly fishing locations close to Akumal are around Cozumel Island. This tourist hotspot is the ideal destination for those looking for an active holiday; this is especially true for people interested in fly fishing. In the last two decades, Cozumel has become a world-renowned fly fishing destination too. You can find different species of fish in literally every part of the island, but the truth is that the northern lagoons of this island are the perfect spot for fly fishing. What kind of Fish will I catch around Akumal? The most common kind of fish found in cozumel is the bonefish. This silvery game fish is typically in the warm coastal waters, and Cozumel Island is close to the coast and Akumal. You can find bonefish in all sizes here. 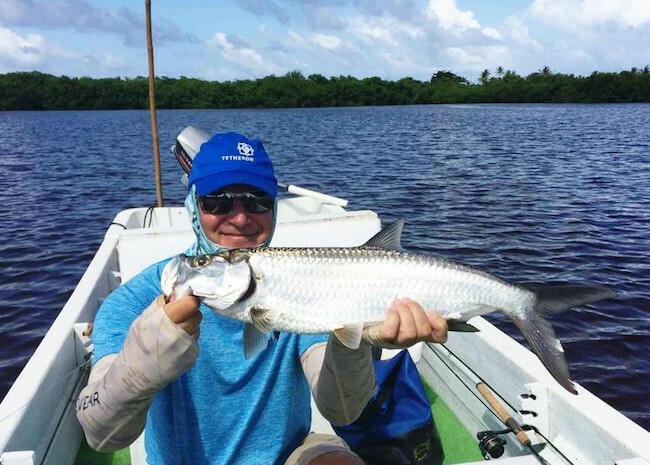 It is not unusual to catch a bonefish that weighs 17 or even 18 lbs and measures up to 33-35 inches. The shallow waters in the lagoons in Cozumel create perfect conditions for bonefish. The best thing is that you can find bonefish in this area all year round. So, regardless of the time of your visit, you can always count on bonefish. Of course, you can find many other types of fish in these waters. Some of these fish include tarpon, snook, snapper, barracuda, triggerfish, permit and other sports fish. Keep in mind that all other fish are season fish which means that you can’t catch them offseason. What is the best time for Fly Fishing in Akumal? For grown and healthy permits we recommend fly fishing between March and September; this the time of the year when you can catch a license that weighs 20 lbs, although some experienced anglers have caught larger fish. The season we’ve mentioned is ideal for snooks too. Keep in mind that fly fishing near Akumal in Cozumel is suitable for all categories of anglers – from complete beginners to experienced anglers. It is up to the fisherman to decide what kind of tour he or she wants. They can opt for a DIY tour and just rent equipment and boat, but they can also take a guided tour which is a smarter option because the local guides know where are the best places for fly fishing. You can enjoy a lot fly fishing in Akumal; fly fishing in Cozumel is an excellent option too because the area is impressive and you can probably catch more fish.